"Check inbox placement and style within a few clicks"
I really like how I can connect this app to Eloqua and perform inbox placement, spam test and check to see what the look/feel of my emails will be on just about every platform you can imagine, desktop and mobile. IT also has a spam check feature that allows you to check on your IP's helath and how your email will land in your recipient's inbox (placement check), it's saved me many times from sending out an emial when ther might be something off about either my IP being temporarily blacklisted or perhaps a title that's raising flags (bad use of keywords and/or punctuation marks). Could integrate a little better with Eloqua (allow me to search for an email and not just use one that I've recently accessed in Eloqua). Utilize their spam check feature, it will quickly show how your inbox placement is doing across multiple ESPs. It's incredibly easy to see what platforms need additional attention/coding when creating my emails. Overall it's helped my design better emails, test them more thoroughly, and analyze areas that I could improve upon that may be lacking. "Litmus is pretty solid for testing emails in email programs." I like how effective Litmus is when testing email templates/designs. It has almost never not outputted exactly what the final product will be. Basically, it's really reliable and trustworthy in what it generates from the code you give it. It's not finicky and doesn't result in contradictory email displays on different email programs. Lately, the website has been down for a considerable amount of time/days, which is very inconvenient. The only other thing I'm not the most fond of is how long the test emails take to go through - they do take a few minutes. I would recommend using Litmus for testing HTML styled emails. They generate exactly what will be seen on almost all email programs, such as Outlook or Gmail. It has greatly helped our company become confident in knowing what we are sending out to hundreds of people at a time through emails, whether simply coded or complex. I do think it is way more user-friendly and visually appealing than other email content programs. I would definitely recommend this program. We use several different email programs (i.e. Outlook app, Gmail, Outlook online, etc.) so sending our corporate, designed email templates through Litmus PutsMail has drastically improved the efficiency of our emails that go out. After sending it through PutsMail, we're able to see the errors we can't see on just the email link itself. It makes our email blasts pretty seamless. A nice online tool which allows to design/code email. We belongs to hospitality industry and our marketing team requires a lot of different types of email for regular system's processes (i.e Customer Reservations, Welcome email) as well as different marketing campaigns. For development team it's an important task to design emails which should be lightweight, compatible for all type of devices / browsers and almost zero bounce rate. This simple tool is very awesome for handling such kind of issues in less time. Basic plan is a bit expensive because it charges USD99/month and provides only 1 user and just email preview. Some more features should be included in Basic plan as well. it provides 7 day free trial. Anyone who is facing the issue while designing different type of emails , should give it a try. Its worth! As I stated above that designing emails which are compatible for all devices in short time. We use it mostly for email campaigns. its spam testing tool is also good. "Extremely convenient tool for email testing"
Renders are available in IOS phones, mac, gmail, yahoo AOL mail etc. Many options are available. you can either copy paste template of the email or send an email to the test email that limus provides to see the real time view of how the email renders. "Must have for Email Marketers"
The best parts are the email previews, so you can see what your email looks like in every inbox. This helps you catch errant code and make sure every user has an optimal experience. You can also put emails in the builder tool to easily tweak and recheck code. They also have super helpful blogs/newsletters. It's not a cheap tool, so the barrier to entry is high. So you need to be running a big/robust program to make it worth it. It can also be overwhelming to jump into and understand the full extent of its capabilities. It's a QA tool to ensure our clients get the best content possible and their customers get the best experience. Even for those who feel highly versed in email best practices, it's a good gut check to make sure nothing gets missed in the production and sending process. "Litmus helps me send better emails"
What I enjoy most about Litmus is the email tester. I love how it gives you tips to make your email better. example, adding in preview text. I send daily emails and one of the benefits of using litmus is that we can track how many people open our emails and there are other tools that help us build a better email. "Multi-device/client email testing in one place"
Accuracy of email testing previews as well as results available under a single page for multiple devices/clients. We have also been utilizing Litmus Analytics to track the email opens by devices/email clients etc. We have avoided lot of email accidents with the help of Litmus. It has also helped us prevent our emails from being delivered to the spam folder by testing and analyzing the email subject lines, body copy etc. "A great email rendering service"
The best thing about litmus is the fact that they display rendering of how our email will look on every email client that is important to us. There have been other services I have used that do not have all email clients on them. There is nothing I dislike about litmus. They have a great platform. The only criticism, and s subjective one, is that it is a pricey service for small businesses. I have not used the html builder, but the rendering service is top notch. We have solved the issue of sending out emails that do not look how we intended them to on different email clients, or worse yet, are broken. "Best Email Screening Software I Have Used"
The UI. Very easy to use! I like to use Litmus because even those that are unfamiliar with testing software, it is easy to use and setup. It is a bit pricy but it's worth it. There are other solutions out there that is half the cost of Litmus but they are not as accurate or fast as Litmus. If you want the most accurate email testing software, Litmus is the way to go. Before I send out an email, I always use an email screening software. Litmus always gives me accurate screenshots of the email and finds any potential issues I may have with my email. "Litmus Email Creating Software review"
Litmus Email has user friendly options to designing a professional looking email. It creates an email that can include your images, links, proper tracking id's, etc. Using Litmus for online marketing helps the user get their emails (their ad campaign) to the inbox instead of the spam box. I wish Litmus was able to detect why we're experiencing certain issues between email clients. It's probably wishful thinking at this point given all of the variables Litmus would need to consider in order to make a sound suggestion. I was trying out Litmus for a election campaign - marketing campaign. It was helpful in creating email content - which was quick and easy. It's honestly a reputable software but there are tons of similar programs out there that can equally do that job. Litmus does what we need... and fast! I've used Litmus for over 5 years, and it's amazing how fast and efficient our email testing has become compared to the way it was 5 years ago. They are clearly improving and optimizing their platform. I can't think of anything I dislike about the Litmus platform. There are certain parts of the tool that we don't use regularly, but everything has been great that we have used. We use Litmus to ensure that emails look correct on all email clients and browsers. "Such a helpful tool for email marketers"
I used Litmus most heavily for the almost instant previews of my email code in all sorts of combinations of browsers and esps. It was very nice to be able to just paste in your code and make updates to it in their platform and get new previews. The previews don’t always load, or load as quickly as you’d like them to which can become time consuming. I would! Their team are regular speakers at marketo and other industry events which is a good sign in my opinion! I want my emails to render perfectly in every email program and across every device type and without access to all those things there’s no way I could guarantee how’d they’d render. Litmus solves that problem for me. "Great analytical and user friendly software"
The email analytics provide you with metrics to see what works and does not and how to improve. The overall help the software provides to prevent you from wasting time on branding or outreach is great. It will take some time to learn all the features and metrics that analytics provides. Just like any software it can be frustrating to learn something new but overall it becomes seamless and user friendly in no time. If you like analytics and are unaware on email strategies this is a great product for that business or employee. Stop spending time on emails that do not reach your target customers. Improving your current strategies to reach more and provide the most useful information and service to your customers. Litmus makes marketing so much easier. It’s also a great tool to help you learn how to code emails. The pricing for litmus is pretty high. It is very steep for a non-profit organization. Well worth it but still expensive. We have been wanting to find a tool to really push out our program and events to not only the community but people a little farther from us. 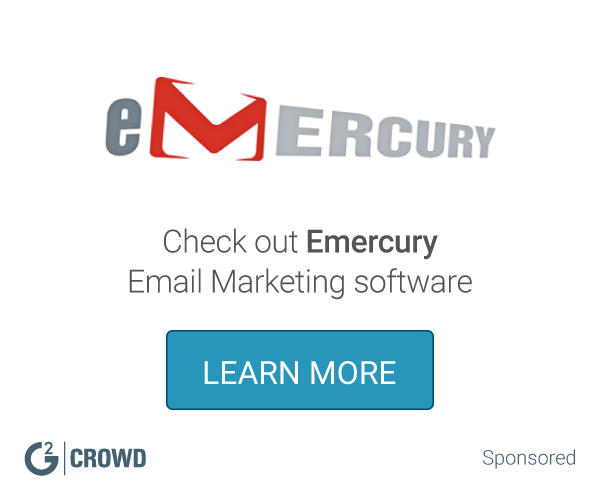 This has helped tremendously and helped us organize email marketing so much more. "Admirable emulator for email clients"
This tool saves me a great deal of time. Rather than maintaining a multitude of test email addresses and devices, and signing in and out of them, I am able to sign into one easy to use tool to quickly review them for rendering issues. I am then easily able to share the results with other stakeholders. I have found the renderings to be short of 100% reliable. I have come across many situations where Litmus showed rendering issues, where the actual email client in question on the relevant OS/version did not. Email render testing. Tools such as Litmus and Email on Acid greatly increase the speed you can accomplish these tasks in. "Easy to use, powerful tool"
There are some features left to be desired within email list management. inbox rendering for the most part. We've caught small, but potentially impactful, issues within our email code base via Litmus. "Easily check how your campaign will look like"
In place of sending the email to different emails and check them on different devices and browsers, you just need to check it with Litmus. They need to have more integrations with other platforms to allow easily check the emails despite the service you want to use to send them. We do email look checking before sending them to our users and prospects. "If you send a lot of e-mails, this software is for you! " When I send out e-mails with links, I would have to go back and click on them to make sure it works. But with Litmus, it does it own it's own. It will confirm the link, instead of you clicking on it. You can also review your picture that's attached, and they will notify you if you are missing any pictures. The software is also good for Marketers. There are no Cons so far, still experiencing the software. Problems we can solve are making sure that the marketing communications is presented across the market and multiple email clients. I think it’s great to send out a simple email for your clients. Templates provided that can make everything cleaner and quicker to create the content your looking for. Amazing for bulk emails and it’s pretty simple to use. Some of the information is hard to find at first. I’d like that information to be an easy overview to give to my team that demonstrates the additional features. Great for bulk emails for my clients! This tool is an addition that our team is very pleased to show off for what we can provide. The best thing I like about it is that It gives you all the email previews you could ask for. It has an editor built out just for developing emails. It is very cost effective. The interface could be better. And the pricing is a little too expensive for a small company or a start up. We don't have a developer in our team. So it's very handy when we can easily code stuff without any breaks in our emails or links. "Great HTML editor and the spam tests are incredible"
Litmus has tremendously improved our deliverability. I really enjoy the HTML editor and the pre-send spam checks. I wish there were more ESP integrations to make my job a little but easier. Email Deliverability — it's tremendously improved. "Amazing experience, could do with some more details on how to improve"
Litmus helps me ensure that no email is going to spam. "Good email testing tool, but could be less expensive"
Litmus does a good job testing emails in various email clients, as well as spam testing, before sending to your list. There are other email testing tools but Litmus feels like a leader in this space, based on our experience. The cost is a little more than I think it should be, especially at the basic level. Litmus helps us create better emails and ensures that they look the way we expect in various email clients. "One of the best marketing email Tool"
Web-based drag and drop feature to design the email marketing is the best thing to use. It's super easy to use. A bit lack of ability to organize emails and campaigns. There is no folder option to create. Except for the campaign organization, this is a great tool to send marketing emails. We use this to send marketing emails and bulk emails as campaigns. "Great for Designing and Testing"
I like Litmus's multi use platform. The ability to design and test all in one makes effort easy. Litmus sometimes has a slow effort of support when needing to trouble shoot. I would highly recommend Litmus as a tool for testing email design and development. It is a one stop shop and it makes work efficient. Designing and testing already designed and developed emails. The ease of use is fantastic. It provides all of the features you need at an amazing price point. Nothing within their control. I'd like true email heatmapping capabilities, but that's not currently possible regardless of the platform. We started using it for email functionality testing. We've realized that we can expand to more advanced email analytics (beyond our email marketing platform). Not a whole lot. Does what it promises to do. "Great for email marketing and testing"
It is great at displaying how the emails will display across multiple formats, mobile vs desktop, safari, chrome, and Firefox etc. It stacks up highly to others of their breed. It is a bit pricy for smaller companies. Creating email blasts to send to clients and our clients' clients. Super easy to navigate as a learner, easy to switch between learner and admin modes. Quick uploading. Positive responses from students. While I find Litmus it to be user friendly, could be better options for livestream. Creating a globally accessible learning platform for international markets. "Copy editor proofing litmus pages"
* We monitor all Litmus reviews to prevent fraudulent reviews and keep review quality high. We do not post reviews by company employees or direct competitors. Validated reviews require the user to submit a screenshot of the product containing their user ID, in order to verify a user is an actual user of the product. Hi there! Are you looking to implement a solution like Litmus?